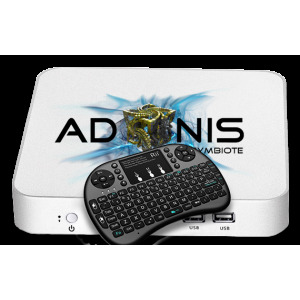 Adonis Symbiote, media and universal air server (code named “Hera”) is designed with entertainment and the marriage of air server technology in mind. With Symbiote Hera, you can broadcast iPhone, OSX, Windows, and Chrome to your TV without the need for multiple receiving devices. 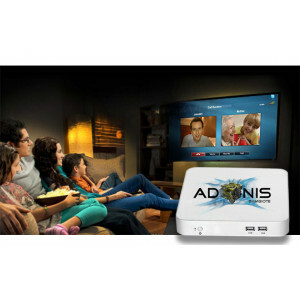 In addition, you can play your favorite media direct from your SMB share, UPNP, or DLNA device as well as watch live TV from VBox TV Gateway, or IPTV from services such as Netflix. 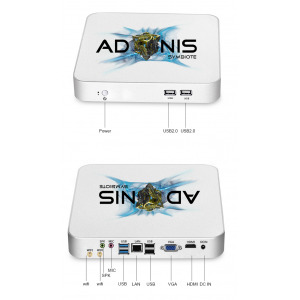 Symbiote Hera supports windows applications such as office directly on the device, or you can use your TV as a second monitor using the built in Air server. Want to do more? Add a webcam and Symbiote Hera can take a call from any chat service for windows such as Skype, We Chat, web chat and many more. Play YouTube, chat on Facebook, twitter and more from the fully functional web browser built right in. Symbiote Hera also supports a wide range of popular games from Xbox live available direct from the windows store, as well as many others. 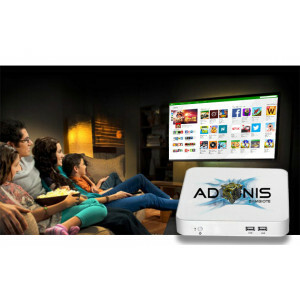 Broadcast your favorite game direct to the big screen from your favorite handheld device solo, or in a group to create dual experience, or play compatible games direct from the device. Now you can combine work and play, all from Symbiote Hera. Airplay direct from linux, Mac, PC using chrome browser, IOS, and Android. Multi device playback at he same time.